Above is what it looks like in there. Below we share with you our favorites, and tell why we recommend them. 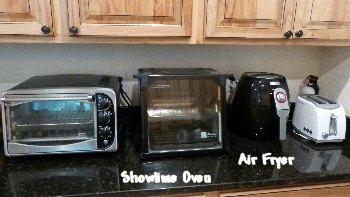 Read about our experiences with the NutriBullet, KitchenAid Mixer, Emeril Smart Fryer, Showtime Oven and The Chemex Coffee Maker. Then we take a look at some unique gadgets we found during our research and just had to share with you, others that look quite clever and worth a try. 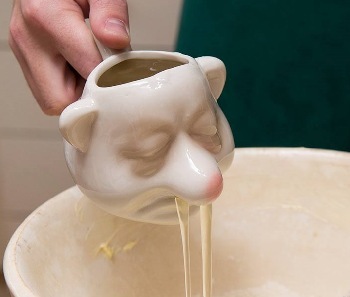 Lastly, some ridiculous kitchen gear which we do NOT recommend. We have had a Nutribullet for several years now and recommend it as an easy and palatable method to add superior nutrition (particularly leafy greens) to your diet. 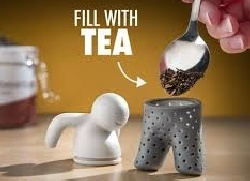 It is also a great way to help you stick to a reducing diet. (We replace our lunch with a "Nutriblast Shake" while dieting). The promotional material describes the Bullet as an "extractor", capable of "virtually predigesting the foods, so your body can effortlessly absorb and utilize all of the nutrition". While I think that's going a bit far, I do agree it does a great job of pulvering fruits, veggies, nuts and "superfoods" like Chia seeds and Goji berries. TIP: We also sneak in a healthy dose of honey to temper the bitter but healthy greens like kale and swiss chard. 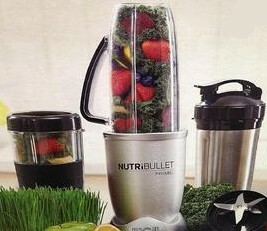 I admit that we "come and go" with our Nutribullet; sometimes we get tired of it and let it sit idle for a few months. But it is one of those cool kitchen gadgets we do not regret buying; we always eventually pull it out and get back into our Superfood Smoothies. This is a very heavy, substantial kitchen appliance that we have found indispensable since we bought it a couple of years ago. 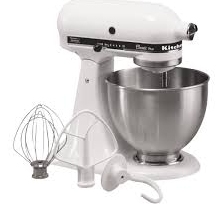 Sturdy, powerful and versatile, we use it for general mixing (cake batter, whipped cream, etc). 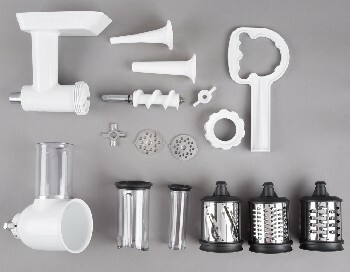 We also bought the extra Attachment Pack 2 with Food/Meat Grinder, Rotor Slicer & Shredder, and Sausage Stuffer. 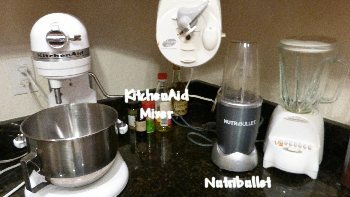 TIP: Amazon reviewers recommended the "Professional" series mixers; as the lighter, cheaper models do not handle large quantities of heavy dough well (i.e. : bread dough). 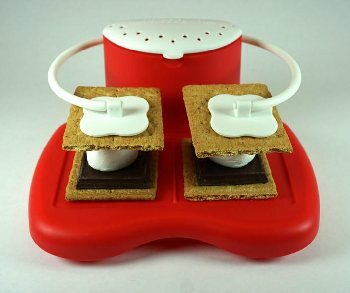 How many times have you watched an infomercial and ended up ordering the featured cool kitchen gadget? And what happened then? 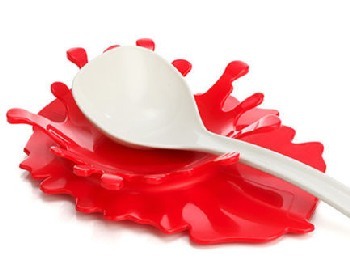 After a couple of uses, the darn thing just sat there, cluttering up your kitchen countertop and gathering dust. Well, that didn't happen after we bought this rotisserie cooking appliance. 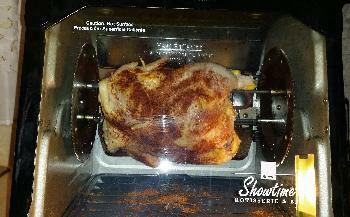 We use it at least weekly and just love to rotisserie-cook whole chickens, pork roasts and beef tenderloin. As they turn on the spit, they "self baste" with their own juices. The excess oil drops to the catch tray below instead of the meat sitting in it. Roasts come out of the Showtime just awesome; crispy on the outside, tender and juicy inside. You won't be disappointed with how this thing cooks! We think it does a better job than the rotisserie chickens you get at the grocery store deli. Must admit though, we never use the accessory cooking basket that comes with. That's no big deal though. TIP: Do not buy the Showtime Junior or Compact. We had the Junior and it was just too small to cook a big fat hen without the drumsticks scraping the burners. We gave it away and got the full-sized version, which we are very happy with. Oftentimes, simpler is better. And when it comes to brewing my beloved morning coffee, simplicity rules! For years I have tried different coffeemakers... including the Mr. Coffee-type brewers, old fashioned percolators, the Bunn system, and even Italy's Bialetti Moka Express. So what do I prefer (and use to this day)? The Chemex Brand pour-over coffee brewer! I believe it is the patented Chemex Bonded Filters which give my morning brew such rich but smooth taste. (Don't buy the permanent steel filter which fits this unit... 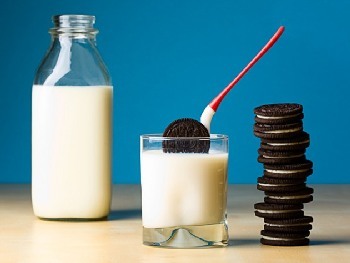 I tried that and it just doesn't taste the same. Also clogs too easily. However, I have put the Chemex Ottomatic Coffeebrewer on my wish list for Christmas (it's pricy). Amazon affiliate buying links below. 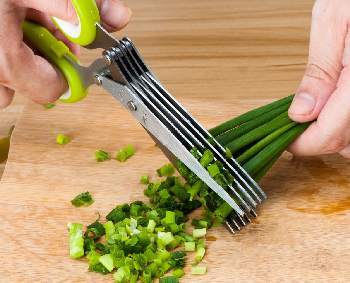 Great for chopping fresh herbs, chives/scallions, celery strips into the perfect "chopped" size. The Amazon reviews tipped for buying this clever device if you love to cook with fresh herbs. The main complaint was that some food stuck between the blades and it was hard to clean. However, it comes with a "cleaning comb" and if you hand-wash it thoroughly immediately after use, this is not a big problem. 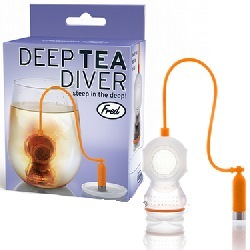 Looks like a clever idea, and the majority of Amazon reviewers love it. Some issues with butter sticks in California being "fatter" and not fitting the device, so beware. I love onions in most of my dishes and use them liberally. But I hate how awkward it is to hold and slice them, and the dreaded "onion hands" which result. 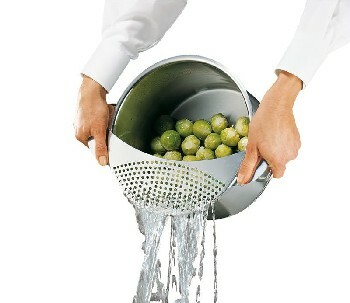 Today I found this clever stainless steel onion holding device, and ordered one immediately. 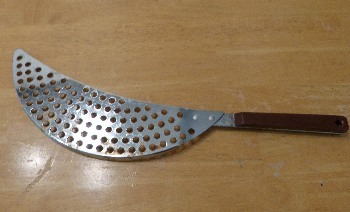 Also good for making uniform tomato slices. Will update on this one as soon as I use it. Do you love sushi rolls like I do? Then get this super-easy, beginner's "Sushi Bazooka". Have fun making fresh rolls with the kids. 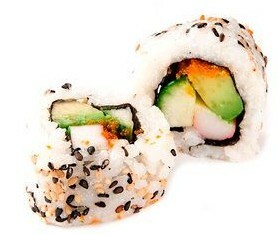 This Amazon #1 best seller in Sushi makers comes with instructions and tips to get you rolling! This cool device makes cleaning a snap by steaming the inside of your microwave with white vinegar. 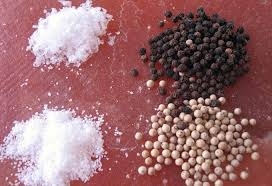 We love the sharp flavors you get from fresh grinding salt and peppercorns right over your meal. Impress dinner guests with these elegant ELECTRIC salt and pepper grinders. They also make grinding much more comfortable for those arthritic hands. 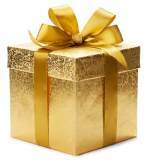 This would make a lovely, reasonably priced wedding gift. I thought this cool kitchen gadget would add an old-world touch to the decor; make an interesting gift for the "chef" in your life, and it just sounds like fun! 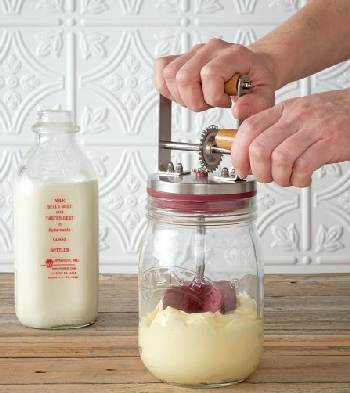 You simply pour room temp "whipping" cream or heavy cream into the jar, attach the cover and begin churning. Within 10 minutes, you'll produce a blob of homemade fresh dairy butter! The leftover liquid is buttermilk, which is awesome in pancakes or biscuits. You can also experiment with some of the included recipes and make Cinnamon & Honey Butter, Parmesan Basil & Tomato Butter, Chili & Lime Butter, etc. 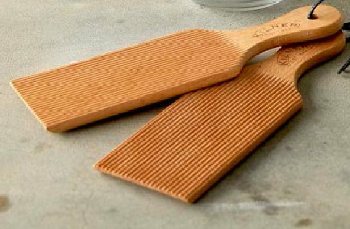 The video below indicates you might want to also order the butter paddles. I love bacon but really hate to fry it in a pan... what a mess, and doesn't cook each slice evenly. The solution is to microwave it! 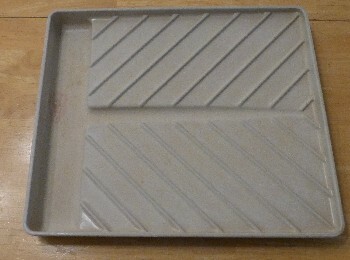 I have one of these microwave grid pans, but rarely use it because it is also messy and hard to clean. 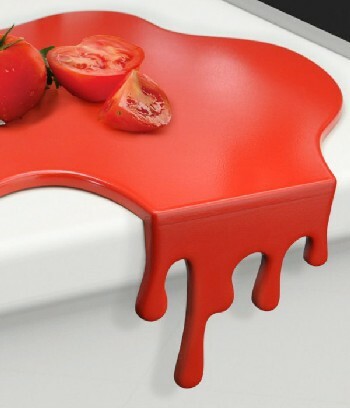 This cool kitchen device might be just the solution! 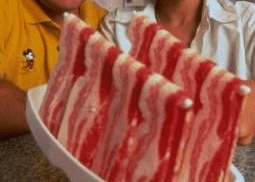 According to the reviews, if you use short slices of bacon and cover them with a paper towel, this bacon rack does a great job without trashing the microwave! On my "to buy" list. 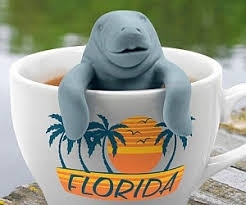 I have one of those drain sieves with a handle, but it is very awkward to use with steaming hot water pouring down the side of a very hot and heavy pot. Apparently, this one works great! A little pricey but made of stainless steel. Click here to read about our Favorite Outdoor Cooking Equipment. Do you really need these? No way. 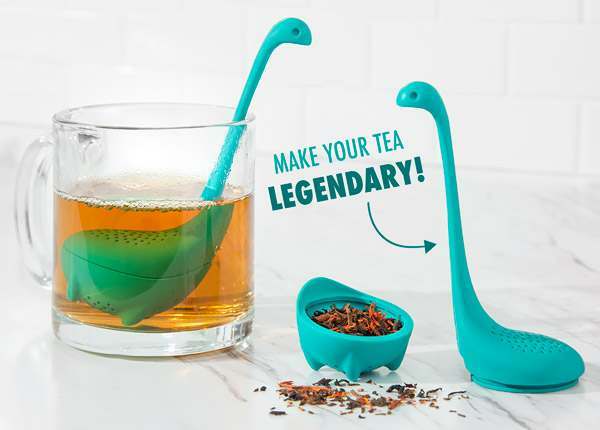 Will you get them just because they're cool? Maybe. 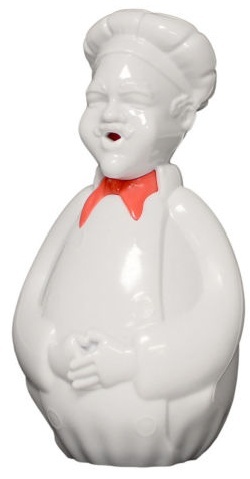 I definitely plan to get the Bogeyman, that is just too funky to pass up. 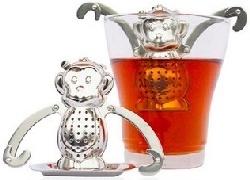 I added these just for fun; but come to think of it, they would make a great gift for a serious tea-drinker. Mr. 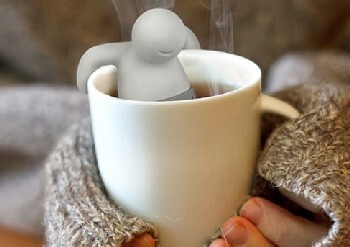 Tea taking a dip. 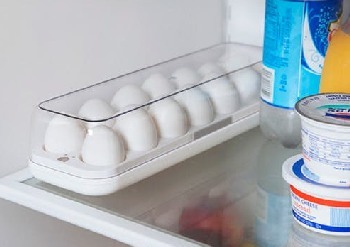 Smart Egg Minder- This kitchen gadget keeps track of your eggs, alerting your smart phone when you need to get more. Got $70 to throw away? Everyone loves Barbecue! See our section on our Favorite Outdoor Cooking Equipment. Bonus free recipes!